These days, a suitable beard trimmer is a must for any modern gents grooming collection. 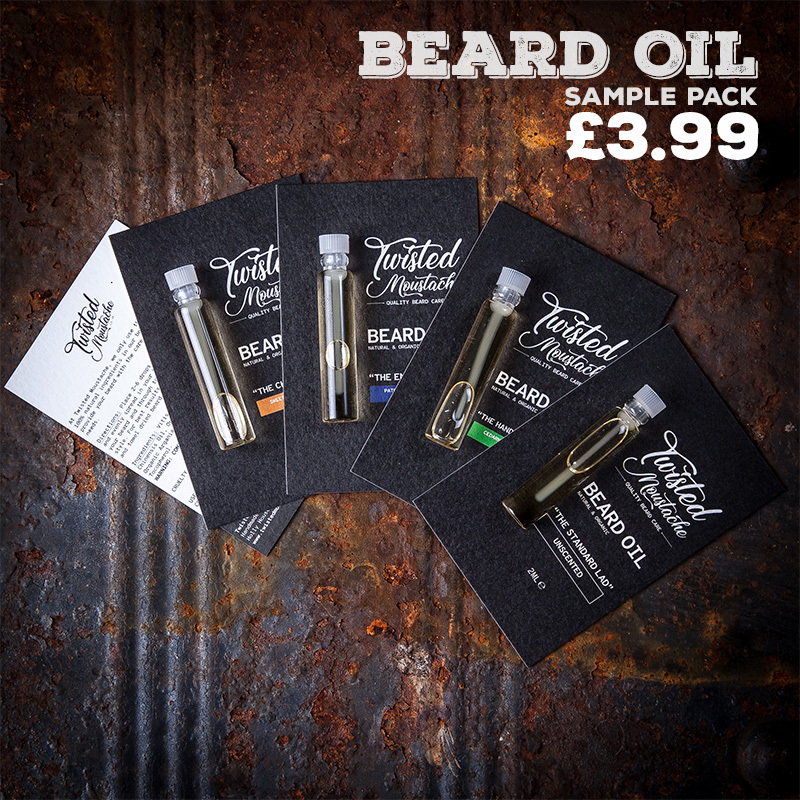 Furthermore, with celebrities like Jamie Dornan and Brad Pitt now rocking some awesome beards, there is an increase in UK lads growing long beards, with the most popular style being the classic full beard. With all that in mind, there are so many beard trimmers out there and finding the right one for you is a challenge. What might work for your mate down the gym might not work for you, so you need to do your research. 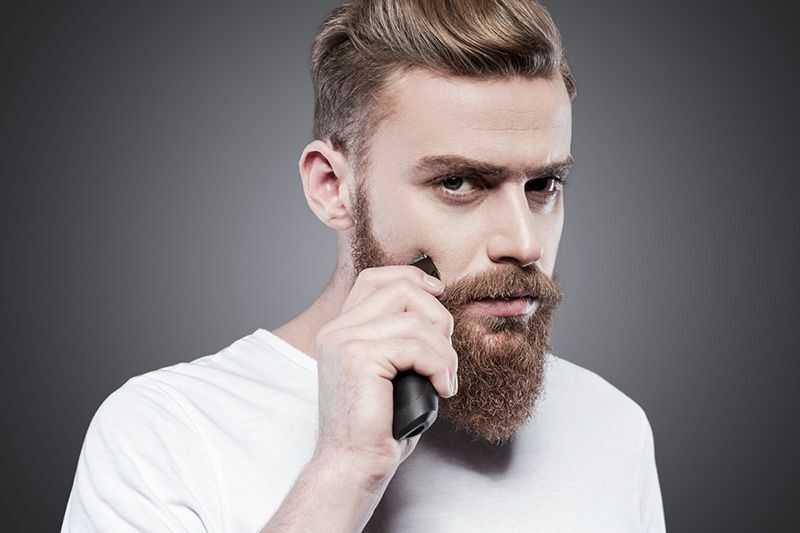 Whether you want an awesome face beast like Brad Pitt, or a that cool stubble look like Jason Stathan, there are a few things you need to consider before you go down to your local Boots and buy yourself a beard trimmer. These are the top 5 beard trimmers for the UK. I personally use the PHILIPS 9000 SERIES BT9297/13 as I just love the premium feel. You can check out the prices for the PHILIPS 9000 SERIES BT9297/13 on Amazon. Top tips of things to consider when buying a beard trimmer. 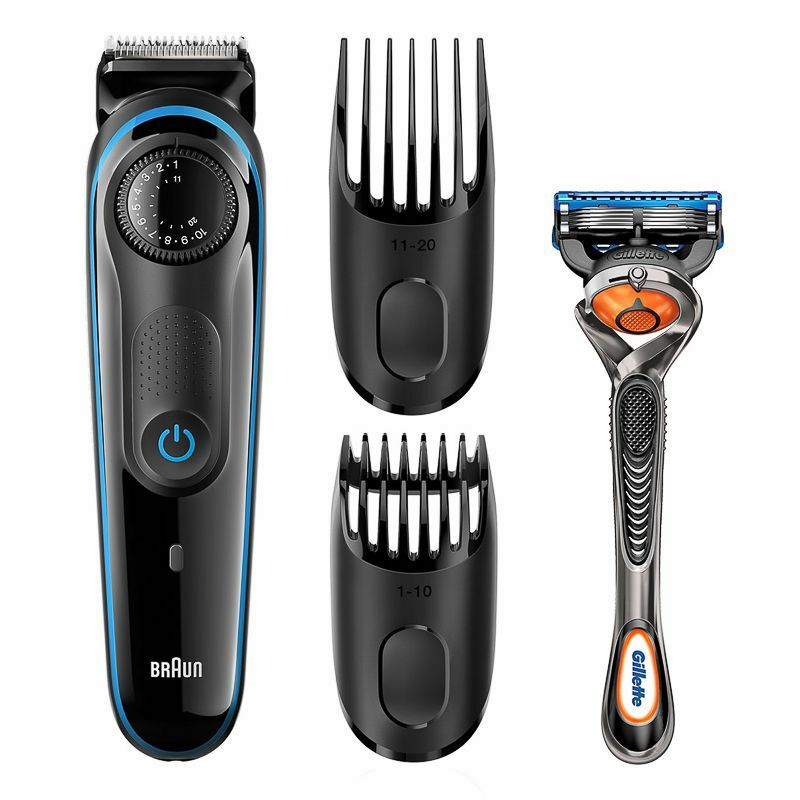 Multi-purpose - You might want a trimmer that isn't just for your beard, so you could be looking for something that’s more of a multi-purpose tool. By that I mean you might want a trimmer that can be used for the body and head. Hell, you might want to do some manscaping! All things to consider. Charge time - I would say that this is something that a lot of people miss when purchasing a new beard trimmer. You really need to consider the minimum amount of charge time you require. If you’re like me and you travel quite a bit, then you might need something that can hold a good charge. You also might want to take advantage of features like quick charge if you find that you’re always forgetting to put it back on charge. Nothing worse than starting a trim and having the battery die halfway through. Size - Again, something that a lot of people don’t think about, but I always recommend thinking about how much travelling you’re going to be doing. If you like to travel light, then you should really be looking at something that’s more compact. Easy Maintenance - Some trimmers have self-sharpening blades, which means they have a very long lifespan. Then, other trimmers will require you to perform some kind of maintenance. Like oiling. No thanks! Be careful here and make sure you don't buy a trimmer that has some hidden maintenance tricks up its sleeve. I’ve done a lot of research, and I’ve come up with my top 5 beard trimmer recommendations. 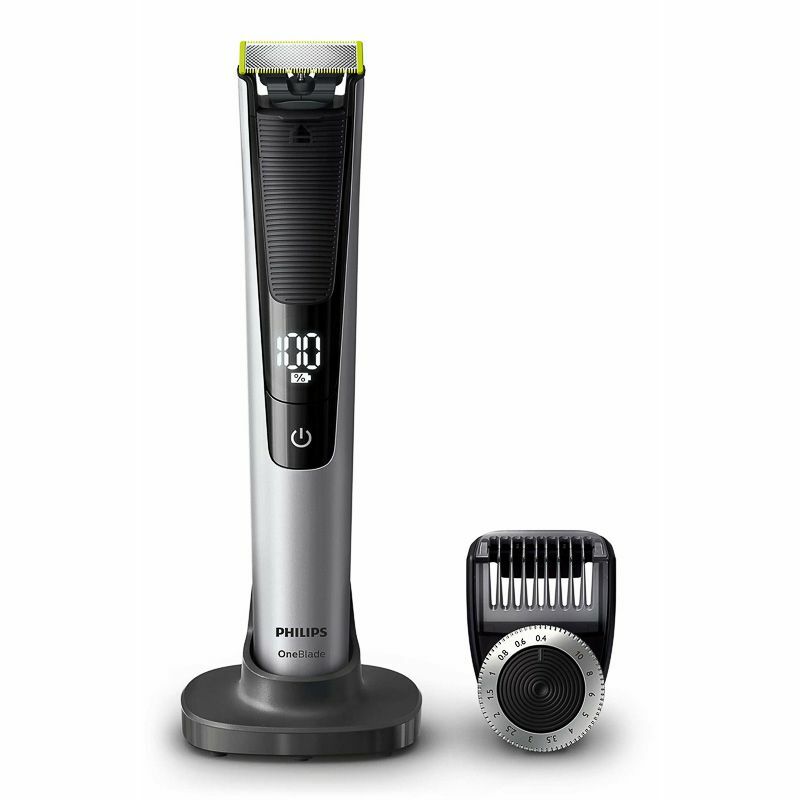 For shorter beards and chaps that tend to trim their long beards with scissors, the Philips 9000 Series is a great option. I really love the premium feel and style that Philips brings with this range. When you look at the features and the price, nothing beats it in my honest opinion. It has some great features and it’s my top pick. It’s waterproof - This is great and you’re lazy like me and you just want to get into the shower and get your trim on at the same time. Although the wife might get a little pi##ed with all the hair around the shower! Laser Guide - This is the big feature that is being highlighted by Philips. It supposed to help you cut straight lines by assisting you with your trimming. Now, this might seem like a gimmick, but it has some value. No, I’m joking, it’s useless. Let’s move on. Zero Maintenance - Yep, no need for oil or any of that other crap. Who has time for that anyway? The Philips 9000 Series also has self-sharpening blades which are great. Premium all the way - You might think this is a little pricey, but it’s very well made. It has a real premium feel. For me, it’s one of the best feeling products out there. Beard Length - 0.4mm, with the max length of 7mm, so it’s not good for lads with long beards, but a great option for shorter or medium beards, and people going for that stubble look. Battery, charge and portability - With a 1 hour charge time, which gives you 80 minutes of use, this trimmer is great for people that tend to travel a lot. It also comes with a nice travel pouch. As I mentioned earlier, it’s not for people with long beards that like to trim with a trimmer. If you’re just trimming your neckline, then you might want to go for a cheaper option, unless you really love that quality feel like me. This is a great option for guys with short or medium length beards, it’s waterproof, great for travelling, has no maintenance, with self-sharpening blades and great battery charge and use time. It’s a lot more premium, so a little pricey, but worth the money. You can check the latest prices on Amazon. I just love Braun trimmers, they’re made of that ‘stuff’. I once dropped my Braun down two flights of stairs and when I picked it up, it just looked back at me and said ‘Is that all you got?’ lol. Yes, Braun does tend to focus more on durability and value for money, so you might not see any of those fancy gimmicks, or slick designs. But what you do get is a solid trimmer, that is great value for money. If you’re looking for a bargain, or maybe a spare trimmer for your girlfriend's house, or to keep at work, this is a great option. Cheap - It’s cheap, but that doesn’t mean it looks or feels cheap. Sure it doesn’t have that premium feel, but it’s solid, durable and it feels like it will last forever. All-rounder - If you find that you change beard styles often, then an all-rounder might be a better option. This is great for short beards and longer beasts. Beard Length - The max length of this beard trimmer is a whopping 21mm, and it also has 39 different length settings to play with. So this really is a good all-rounder, with lots of options. It can work for short beards, long beards and it can also be used as a hair clipper. Battery and charge - This is where the BT3040 lets you down. It takes a mind-blowing 8 hours to charge. 8 hours! Even after 8 hours, you only get about an hour of use. Portability - It weights 327g, so not as portable as most other options available. Because of the weight and size, there are better options for people that travel a lot. The charge time is a bit of a challenge, so watch out for that. This is a good trimmer if you’re looking for a bargain and a good all-rounder. It’s solid and a very reliable piece of kit. It would also make a good backup as it is reasonably cheap. You can check the latest prices on Amazon. I’ve thrown this in because it’s the best-looking trimmer and a great option for lads looking for shorter cuts to their beard and something that looks good. Beard Length - This trimmer is aiming for the shorter beard market, more towards the stubble look, hence the name. Its maximum length is 5mm, so you’re limited for anything longer. Battery and charge - A 90-minute charge will give you about 1 hour of use, so not as good as the Philips 9000 Series, but still very good. Portability - Great for travelling. Light and compact. Just remember that it's maxed beard length is 5mm, so it’s only suitable for short beards. Also, I’ve also found that this isn’t as durable as the other trimmers. A couple of knocks could see you jogging down to Boots to buy another one. 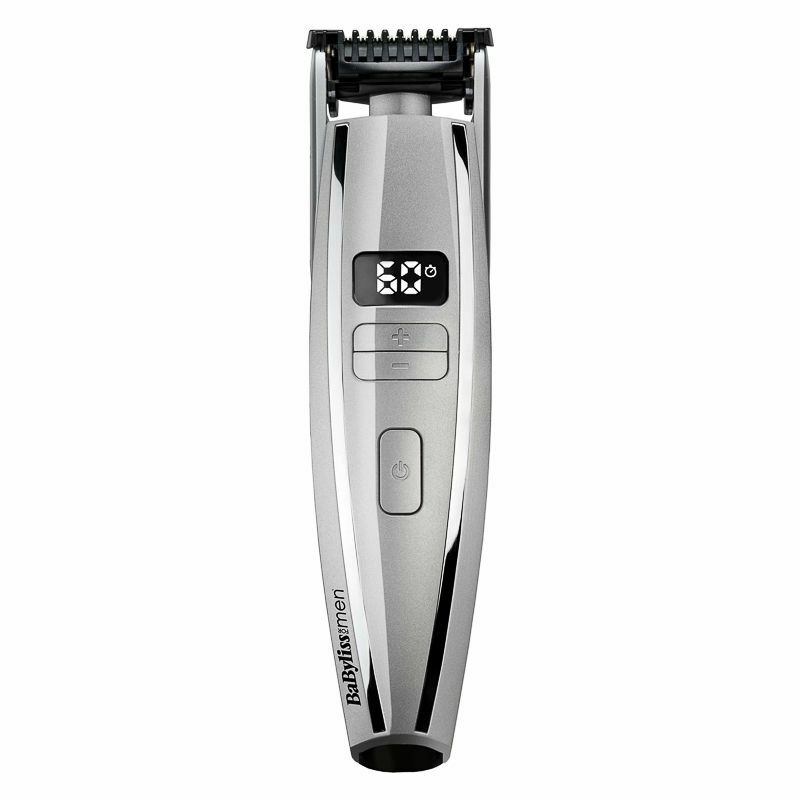 A great trimmer for the stubble look and probably the most stylish one on the market. This latest variant has a nice chrome-like look which is pretty cool. I would say that this trimmer is good for guys that go for the stubble look and rock shorter beards. If you prefer style over durability, and something that is at a mid-price point, this is your tool. You can check out the latest prices on Amazon. Something a little different. The OneBlade Pro is a strange looking trimmer, strange being that it doesn't have that traditional look and feel. The key feature here is the dual-sided blade, which is designed to, and I quote “Create precise edges”. Phillips claims that it can trim, edge and shave any length of hair. A sort of “one tool does all” kind of thing. It certainly has a unique set of features and has a futuristic-look. The dual-sided blade is an interesting attribute and it’s supposed to last for up to four months before you need to pop down to Tesco and buy another one. Reasonable price - It’s slightly more than the iStubble, but cheaper than the Philips 9000 Series. I would say that it’s priced about right and you certainly get a lot of features for your money when you compare it to the iStubble. Beard Length - This trimmer is aiming for the medium-sized beard market, as it’s maximum length is 10mm, so you’ve got a lot of flexibility here. It does feel like an all-rounder for facial hair as it does go down to 0.4mm if you like that stubble look. Battery and charge - A 90-minute charge will give you about 1 hour of use. So again not as good as the Philips 9000 Series, but still good and on par with the iStubble. Portability - This is probably the best trimmer from my list for travel. Very light, and comes with a nice travel bag. Overall this is a pretty decent all-rounder, however, you do need to replace the dual-sided blade every 4 months or so. This will set you back around £15 each time. If you’re after something different, an all-rounder that has a nice build quality then this is the one for you. If you only want to trim a short beard or stubble, I would still go for the iStubble purely on the motorised guard. You can check the latest prices on Amazon. Right lads, my last pick is something that will make you think a little. The Philips Series 7000 is priced slightly below the Philips OneBlade, but it has a cool feature that I just love. 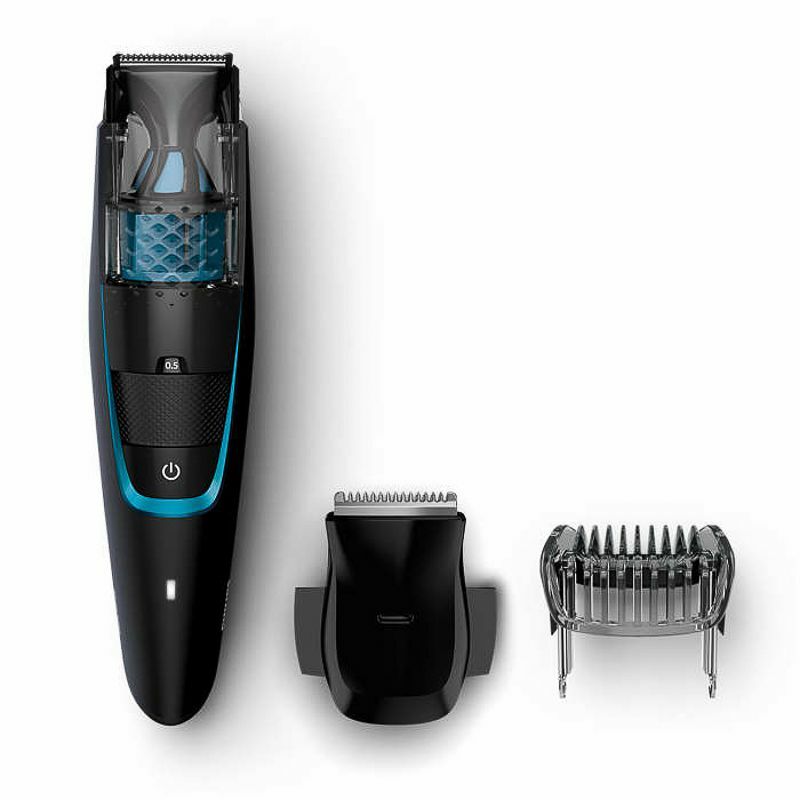 It has an integrated vacuum system that is designed to catch most of the beard hairs that get trimmed. Philips has promised that it will catch 90% of your cuttings. You know what that means lads? That's right, less chance you’ll be in the dog house when your Mrs discovers all those missed hairs around the bathroom sink. (You can tell I’m in there a lot). Beard Length - Again, just like the OneBlade, this trimmer is aiming for the medium-sized beard market with its maximum length of 10mm. It also goes down to 0.5mm for that close stubble look. Not as low as the OneBlade, and still doesn’t beat the iStubble for this kind of shave. Battery and charge - A 60-minute charge will give you about 1 hour of use. So it’s one of the best for charge time if this is important to you. Portability - It’s not the best to travel with. I would probably recommend you go for the OneBlade if this was a key feature for you. Vacuum System - Yep, it has a vacuum feature that you might think is another gimmick, but it works ok. They claim 90% coverage, but for me, unless it’s 100%, I’m not sure on the value. I still need to clean up that last 10%. This can feel a little bit flimsy, which isn't something you would expect from a Philips product but is most probably due to the design of trying to incorporate the vacuum feature. 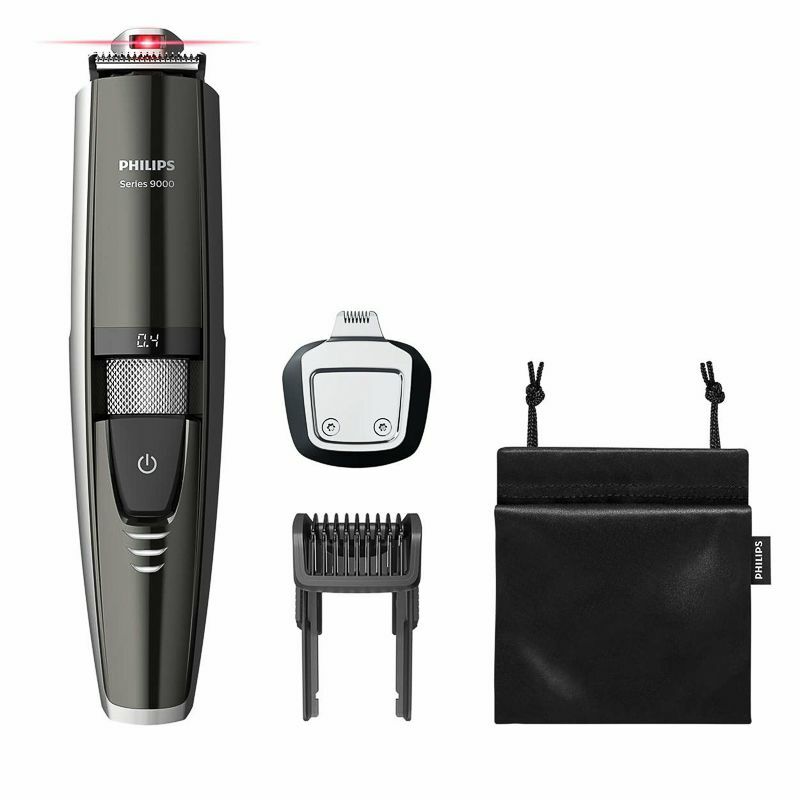 Again, something different, not the best build quality and something that is a little unusual from Philips, but it’s at a good price, and covers a good range of beard lengths. You can check the latest prices on Amazon. 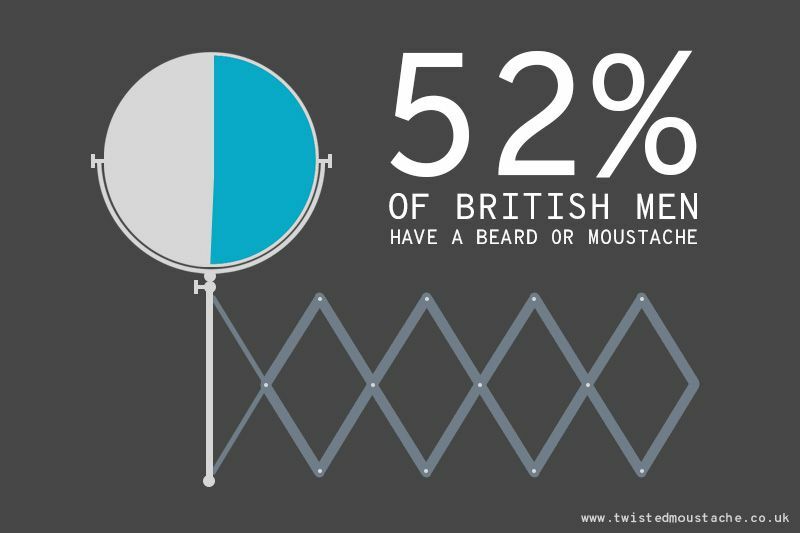 Did you know that a recent survey from Braun showed that 52% of British men now have either a beard or a moustache. Now that’s saying something! Picking your next beard trimmer should not be a struggle. Yes, there are a lot of options out there, but as long as you’re clear on what you want, you’ll find the perfect one for you. That’s my top 5 picks for beard trimmers. Before you leave, I’ve outlined some key takeaways from this article. Do your own research. Ask around, talk to your mates. Know your budget. Set one, and stick to it. Know what you want from a trimmer. Is charge time important to you? Maybe a key feature that you must have is a motorised guard. Make a list. It’s always hard finding a beard trimmer that’s going to fit all your requirements, so hopefully, you found something useful here. Please get in touch, I would love to hear your thoughts.